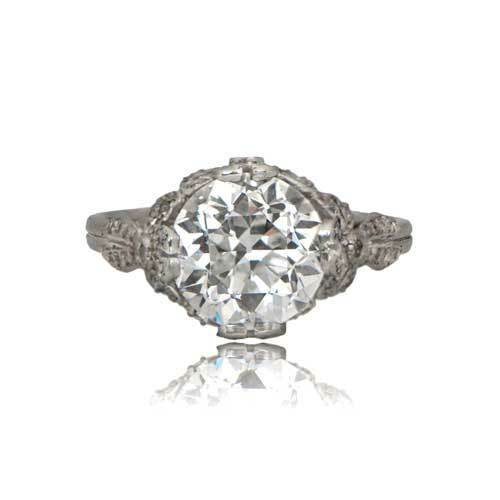 A Beautiful and Intricate Edwardian Style Vintage Engagement Ring set in Platinum. 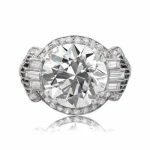 The antique old European cut center diamond is approximately a 3.56ct, L color, and VS1 clarity. 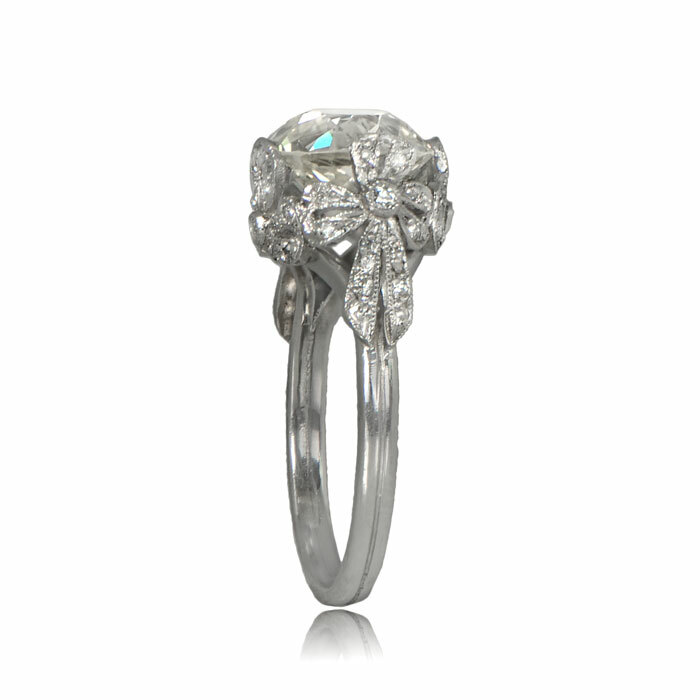 The radiant diamond sits above a handmade platinum ring, adorned throughout with delicate decorative piercing, fine milgrain, and small European-cut diamonds. 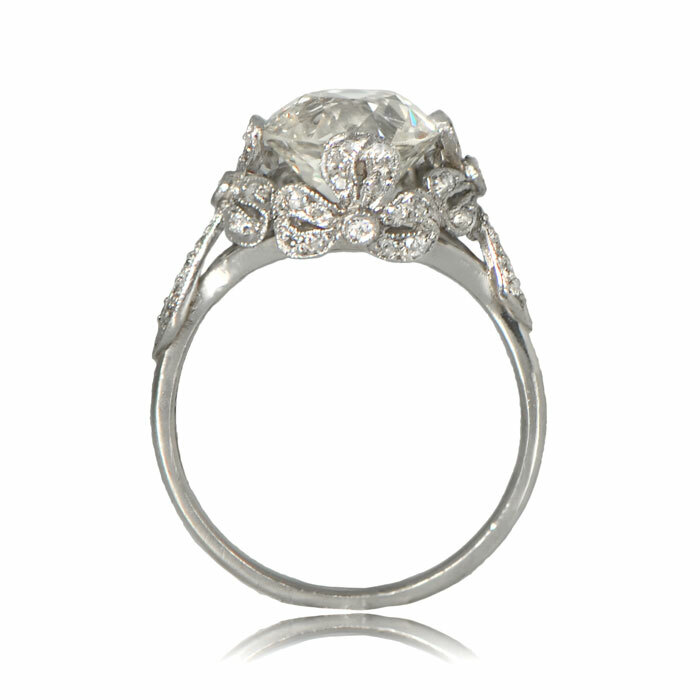 An Edwardian style bow motif lies just under the center diamond. The antique diamond was cut circa 1920. 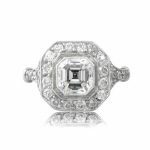 SKU: 12031 Categories: Old European Engagement Rings, Vintage Engagement Rings - Contact us and request additional pictures.